“A bad marketer is one who does things based on their gut.” As the co-founder of Orbit Media, an author, and host of Content Jam in Chicago, Andy Crestodina helps marketers quantify those gut impulses with actionable data and strategies. Andy is also a speaker at Social Brand Forum 2016 in Iowa City this September, where he’ll be talking about Google Analytics Fundamentals: How to Measure What Matters For Your Business. We discussed all of this on this week’s On Brand podcast. Andy Crestodina is a co-founder of Orbit Media, an award winning, 35-person web design company in Chicago. Over the past 15 years, Andy has provided web strategy and marketing advice to more than 1000 businesses. Andy has written hundreds of articles on topics including search optimization, social media, Analytics and content strategy. He is also the author of Content Chemistry: The Illustrated Handbook for Content Marketing. Why live events make potent content. Andy and I both host live learning events (Content Jam and Social Brand Forum). “In person content blows people away. 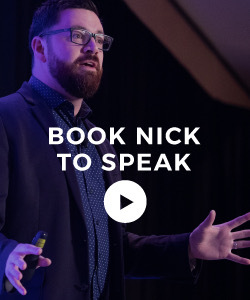 Live events rule the day.” He also quoted our mutual acquaintance Blair Enns who says that, “The only differentiator creative firms have is their expertise.” Live events allow you to put this asset front and center. More from Blair. To learn more about Andy, you can follow him on Twitter and check out Orbit Media and Content Jam! This week, I want to give a shout out to my friends at Marketo. I’ll be doing a free #GetScrappy webinar coming up this Thursday July 21st. Register now. 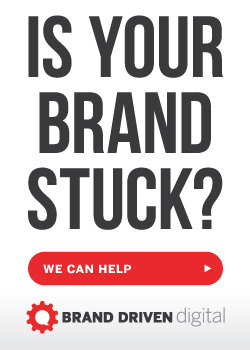 And finally a reminder that On Brand is brought to you by the Social Brand Forum. 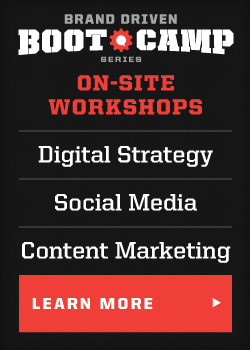 This premier digital marketing experience takes place September 22-23 in beautiful Iowa City, Iowa. Learn from experts like Jay Baer, Joe Pulizzi, and Gini Dietrtich in the heart of the heartland. 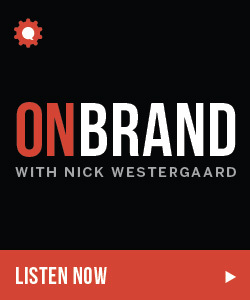 Listeners of the show get the best rate when they register using promo code ONBRAND at socialbrandforum.com. 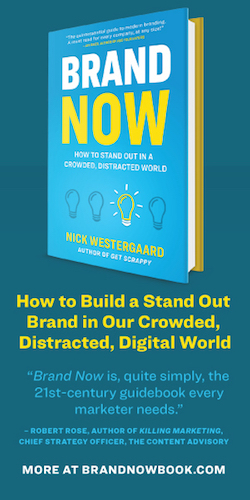 This entry was posted in Podcast and tagged #socialbrand16, andy crestodina, content jam, google analytics, orbit media, social brand forum. Bookmark the permalink.